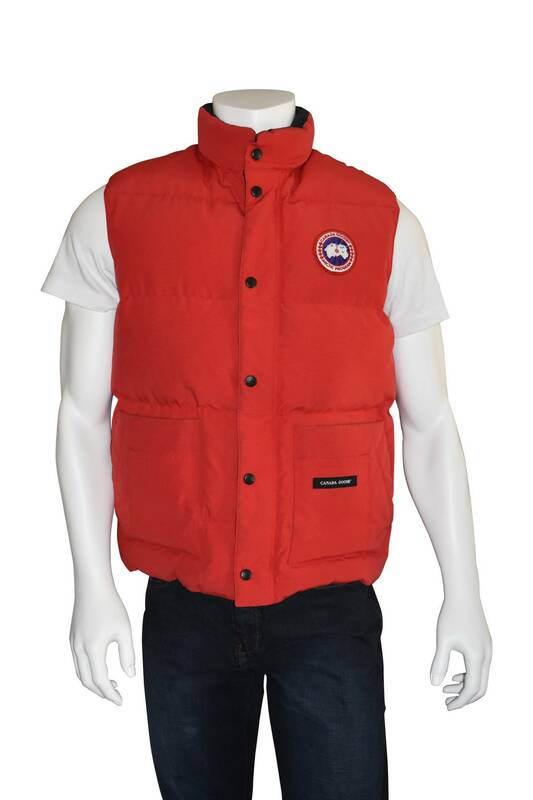 Canada Goose Freestyle down-filled red quilted gilet with raised collar. Dual pockets with four patch pockets at front. Black woven lining and single interior patch pocket. 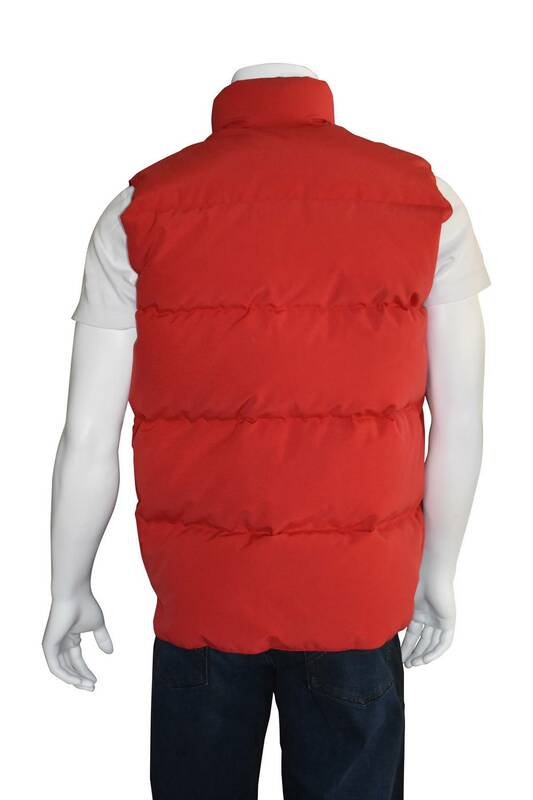 Concealed two way zipper and snap closure to front. Signature patch applique logo at chest.